In a sharp break with tradition, U.S. EPA Administrator Scott Pruitt has inserted a senior political appointee into the role of vetting competitive grant solicitations collectively worth hundreds of millions of dollars each year, according to a memo obtained by E&E News. The unsigned directive, released last week, orders agency employees to route the final drafts of all grant solicitations for review by John Konkus, the deputy associate administrator in EPA's Office of Public Affairs. If Konkus "has any concerns, comments, or questions on the solicitation, he will contact the POC [point of contact] listed in the email," the memo continues. If the Office of Public Affairs approves the solicitation, the relevant program office must attach a copy of any comments or revisions from Konkus to the "work flow" section of EPA's grants management system. Konkus is also responsible for flagging any legal or competition concerns, the document indicates. The memo, which attributes the new policy to Pruitt's office, doesn't explain the rationale for putting Konkus or the public affairs office in charge of reviewing solicitations. In response to a half-dozen written questions from E&E News about Konkus' qualifications and other issues, EPA spokeswoman Liz Bowman issued a statement today: "Grants are being reviewed to ensure they adhere to the Trump administration's goals and policies and the EPA's back-to-basics agenda." 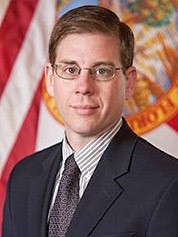 Konkus, a onetime congressional staffer and media consultant who served as the North Florida field office manager for then-candidate Donald Trump's presidential campaign last fall, declined to comment for the record. But the policy represents a departure from past practice on at least two fronts, according to former EPA employees. 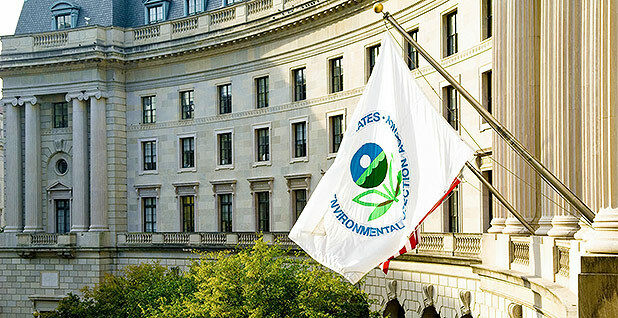 The Office of Public Affairs is the agency's communications arm, charged with fielding questions from reporters and writing speeches for top EPA officials. It has typically had no role in EPA's grants programs, apart from sending out press releases when individual recipients are chosen. Also unusual is for a political appointee to be directly embedded in reviewing solicitations before they are made public. Under the Obama administration, for example, grant-related decisions were typically made by career people, said Karl Brooks, who served as acting head of EPA's Office of Administration and Resources Management for about a year-and-a-half. Brooks, who now works at the University of Texas, did not recall any involvement in the solicitation and award process by then-Administrator Gina McCarthy or the Office of Public Affairs. "The grant world was one that we tried to keep really scrupulous, both in the management of the money and the awarding of the grants," he said. While grants make up more than half of EPA's current $8.1 billion budget, the lion's share of that money flows to states and other entities through formulas. The exact amount of competitively awarded grants was not immediately available today, but Stan Meiburg, who spent the bulk of his 39 years at EPA as a career employee before serving as acting deputy administrator from late 2014 through this January, put the current yearly total in the hundreds of millions of dollars. The bulk of that money is spent on scientific research, Meiburg said, but also includes programs like Diesel Emissions Reduction Act grants, used to replace older, high-polluting, diesel-powered vehicles and other equipment with cleaner-burning models. While political appointees once had some sway in directing grant decisions, the funding amounts at stake were usually "very small," Meiburg said, adding that appointees' influence had steadily diminished over time in favor of awarding grants solely through competition. Immediately after taking office in January, the Trump administration briefly froze some grant programs, citing concerns about the use of taxpayer money (Greenwire, Jan. 25). Pruitt, a Republican who frequently challenged EPA regulations in his previous job as Oklahoma attorney general, has shown little reluctance about upending agency norms since assuming his current post in February. This spring, for example, he declined to reappoint dozens of members of the agency's Board of Scientific Counselors, an advisory panel on research activities, to customary second three-year terms. A spokesman suggested Pruitt wanted to make room for more representatives from industry. After seeking a fresh round of nominations for the board, however, the agency has yet to announce replacements.